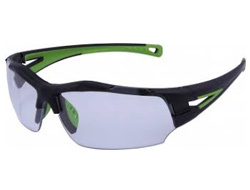 The Sidra is a quite flamboyant pair of safety glasses and available in two lens types. Lightweight and comes in a wraparound style. They boast Optical Quality 1 lenses with a scratch resistant surface and anti-fog lenses. Comes with a coloured TPR insert for added comfort. 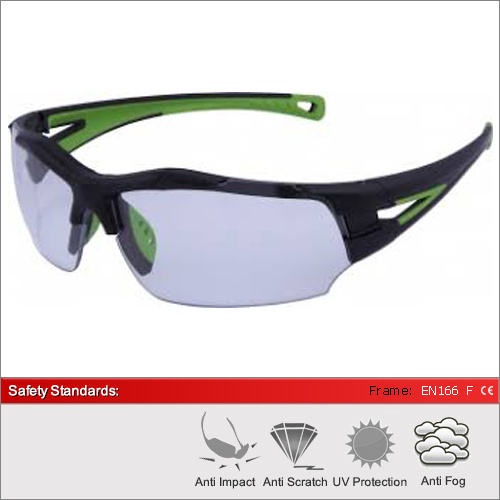 The Sidra gives full UV protection in the clear lens. Both UVA and UVB light. We have 2 lenses available in this frame. The clear lens for 100% optical quality 1 performance. The Indoor / Outdoor lens designed for use in low light and bright light conditions. For a full explanation of the different lens types and their ideal usage please see our dedicated Lens Advice Section.